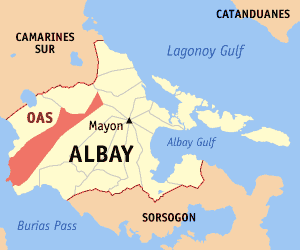 OAS, Albay—Two men on board an owner-type jeep kidnapped a woman at Market Site here this morning, the police said. The victim was identified as Cristita Alamo delos Reyes, 55, of Barangay Pistola. The incident, which happened at around 8:45 AM, was initially brought to the attention of the police by the husband of the victim, Francisco delos Reyes, a resident of Barangay Pistola. The husband failed to identify neither his wife's abductors nor their motives. Authorities are pleading from the public any information which could help locate the abductee. BICOLSTANDARD.COM Pirming enot. Pirming bago.